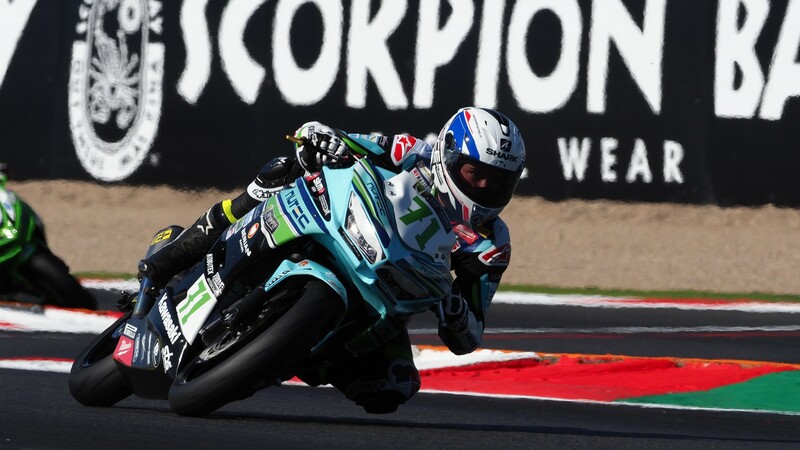 The season finale for WorldSSP300 is set up to be a stunner after Superpole, with Scott Deroue (Motoport Kawasaki) starting on pole after a late lunge to the top, just ahead of compatriot and teammate Robert Schotman. The woman Deroue is chasing in the title fight, Ana Carrasco (DS Junior Team), starts 25th after a tough Superpole 1 and will need to make a lightning start on Sunday. Luca Grunwald (Freudenberg KTM WorldSSP Team) also starts further back, in P14. 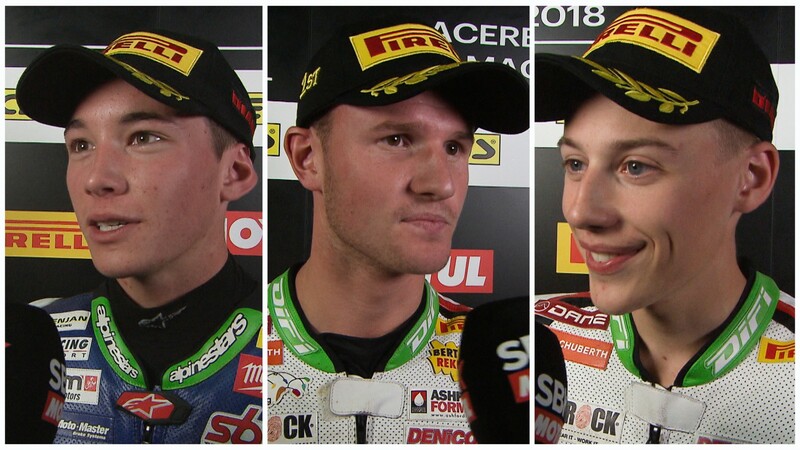 Deroue made that count and struck in Superpole 2, deposing earlier leaders Tom Edwards (Nutec - Benjan – Kawasaki) and Mika Perez (Kawasaki ParkinGO Team), who had set the initial pace. Edwards remains on the front row behind Deroe and Schotman, whereas Perez now heads up his fight for the title from the head of Row 2. Joining the young Spaniard on the second row are Dorren Loureiro (DS Junior Team), Carrasco’s teammate, and top Yamaha qualifier Manuel Gonzalez (BCD Pertamina Junior Team by MS Racing). Loureiro especially could be one to watch. His teammate is leading the way – how will that come into play in the fight at the front? 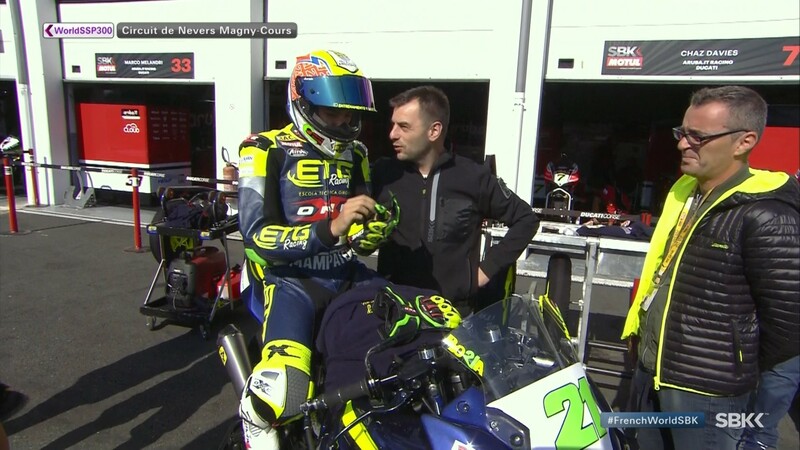 Dani Valle (BCD Yamaha MS Racing) was seventh quickest and heads up Row 3, with the Spaniard having moved through from Superpole 1 as the fastest man in that session. He has Enzo de la Vega (GP Project Team) alongside him, with two-time race winner Galang Hendra Pratama (BIBLION YAMAHA MOTOXRACING) completing the third row in P9. The top ten is completed by perennial frontrunner Borja Sanchez (ETG Racing). 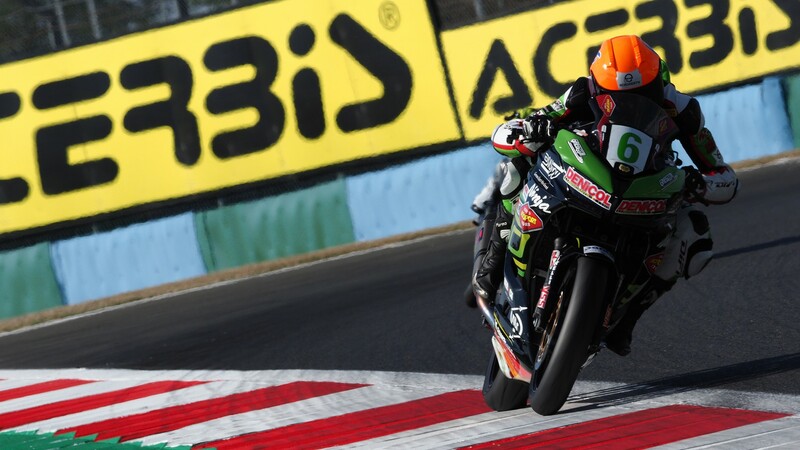 Andy Verdoïa (Samurai-YART Racing) took 11th, with Superpole 1 graduate Walid Khan (Nutec - Benjan – Kawasaki) completing the top 12 but unable to set a time after a crash on his out lap. 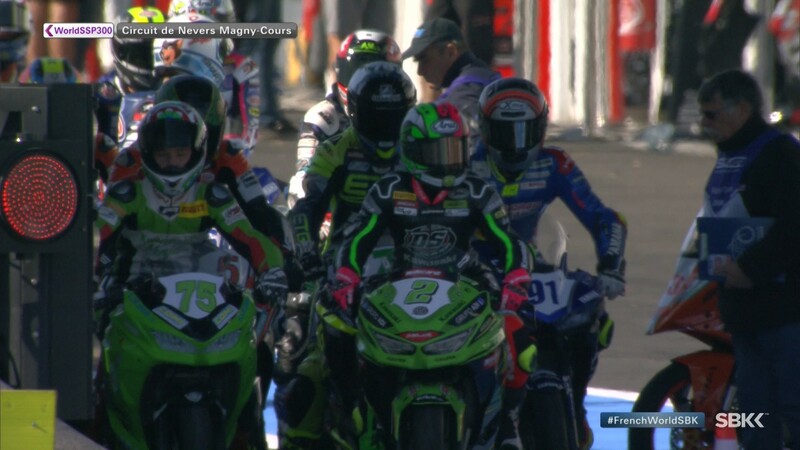 Now we wait as the incredible 2018 WorldSSP300 season concludes on Sunday, with everything on the line. And we’ve already seen that anything can happen! Don’t miss it LIVE on WorldSBK VideoPass from 12:40 (GMT +2).